New Utah Gardener: Money Plant! 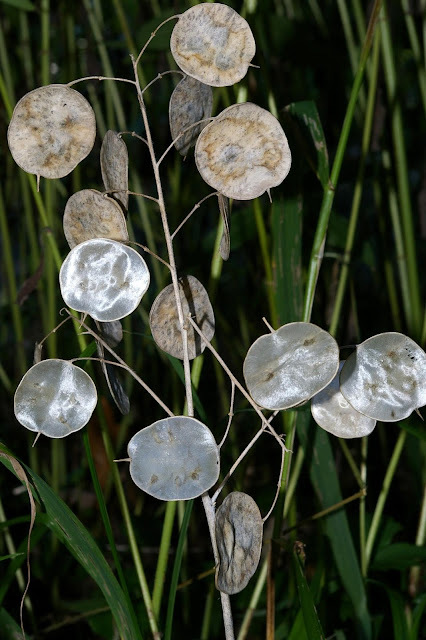 Tax Day is a great day to talk about money plant - Lunaria annua. This biennial brassica will reseed itself in dry shady places and grows well in Utah. It flowers in May and produces tall stalks with attractive purple or white flowers. Later in the summer the seed pods look like papery coins. Money plant is native to the Balkans and Southwestern Asia and was brought to the United States as a horticultural plant. It's great for a wildflower garden or shade garden. It spreads but it's easy to pull out if it gets too carried away with itself. Eggplants don't produce eggs, curryplant doesn't produce curry and, most unfortunately, money plant doesn't produce money.